As the Senior Director of Multifamily Acquisitions for Benedict Canyon Equities, Inc., Amit Patel is responsible for the acquisition of investment properties for BCE, including identifying and targeting locations and product types, and creating the business plan for each acquired property. 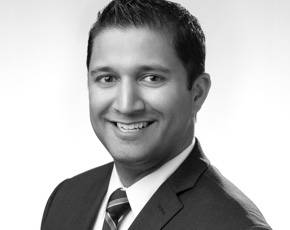 Mr. Patel has over a decade of experience in multifamily acquisitions, dispositions, management and brokerage. Since joining BCE in 2014, he has led the execution of over $1.46 billion of multifamily acquisitions, and has played a key role in the expansion of BCE’s multifamily platform. Prior to joining BCE, Mr. Patel was an Acquisitions Manager at Passco Companies, an Irvine based real estate firm focused on multifamily investments. His responsibilities included sourcing; underwriting; conducting financial, operational and market due diligence; and developing business plans for acquired properties. Mr. Patel sourced and acquired over 4,000 units across multiple states valued at $500 million. Mr. Patel earned a Bachelor of Science degree in Marketing from California State University, Fullerton, and is a member of Urban Land Institute. Amit is responsible for identifying and targeting locations and product types, and for creating the business plan for each acquired property.